Ninja Theory has always had a tendency toward the monumental in their games. Whether through the steampunk ruins curtaining Enslaved's post-apoc pilgrimage, stories of stalwart heroines and ruthless warchiefs, or even the willfully un-serious extravagance of DmC: Devil May Cry, the name the indie mid-player has built itself over the years has palpably been one of wicked, chaotic grandeur – with a reputable bent for dramatic hack-n-slashery. Ambitiously, Hellblade: Senua’s Sacrifice attempts to separate itself from this particular camp, in pursuit of a subject matter both more personal and more volatile than any of its previous titles. Set in the aftermath of a Viking invasion, Hellblade levels the hack-and-slash style permeating Ninja’s work with an explorative approach to psychosis; a path rarely trodden in the medium, and - given the criticism misrepresentation lends itself to - for understandable reasons. For its boldness (along with a commendable collaboration with experts and experiencers of the condition) Hellblade appears a threadbare, yet visceral hack-and-slash with themes so cohesively woven into its mechanics that it transpires to be one of the emotionally engaging experiences in recent video gaming. It’s evident from the beginning that Hellblade comes from a much more calculated place than that of the overblown Heavenly Sword or DmC. It tells the tale of Senua; a Celtic warrior traumatized by the loss of her soulmate to an army of Nordic invaders, and follows her journey into the underworld to avenge his spirit and find closure. Though the theatrics of earlier titles (Heavenly Sword being the more apparent) are still very much present within vicious set pieces and explosive action sequences, that Senua appears to be experiencing psychosis attracts a sensitivity that at once feels slower burning than the rip-roaring feats of Nariko. But make no mistake, Hellblade is every bit as assaultive as its sister titles. What’s different is that the assault lay rather within its protagonist, than in overblown action sequences. Much of Senua’s odyssey surrounds the corrupted ‘Hel’; a torturous alter-world of jumbled memories, fears and - somewhere deep in there - reality ‘as is’. The world changes as Senua grows more distressed; illuminated Norse runes spatter the field of vision, while various auditory hallucinations gnaw Senua constantly in attempt to confuse, frighten and mock her actions. The fact that it’s beautifully animated certainly doesn’t hinder the game’s viciousness. Ever since Heavenly Sword, Ninja Theory has been something of a motion capture extraordinaire, and the expertise certainly shows through the integration of Melina Juergens. Alone an expertly vulnerable play of fury, exasperation and (more heartbreakingly) sheer numbness, Juergens' performance is impressive considering the constraints motion capture acting presents, but her presence within the tormented world of her character is so well transcribed into Unreal Engine that it never once felt forced or out of place. 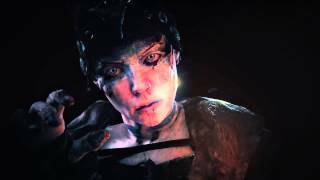 Of course, no video game has yet reached the fidelity required to fix occasional facial inaccuracies, but it only takes the game’s opening sequence to see Hellblade - pitched as a triple-A/indie hybrid - certainly holds its own against its bigger-budget contemporaries. And it does it with nary a loading screen in sight. The addition of Druth is also effective in bringing the story’s mythological subtext to light. Speaking almost exclusively through various stone tomes, the spectral soldier parallels the prophecy of Ragnarok with the quest Senua herself is undertaking, which (along with an intimidatingly intense performance by Nicholas Boulton) gives the journey the sense of magnitude embedded within traditional oral storytelling. You really do feel like a legendary war hero undertaking a monumental task. In addition to the nuanced motion capture, Hellblade is also one of the best arguments to-date for why binaural sound recording in video games should be looked into more. The ability to isolate certain sounds to particular ears allows Senua’s many voices to pour in from every angle, affording a constant sense of disorientation that communicates well the degree of strain the protagonist is under. Turning corners would often be met by frets of paranoia, and my attempts to find my way around were constantly berated by jeering laughter. In many cases the voices appeared to quarrel amongst themselves, which left me constantly doubting their intentions. It’s worth noting that this’ll only become fully apparent while wearing headphones, so you’ll want to be plugged in if you want to empathize with Senua as much as possible. The hallucinations aren’t mere furniture, either, for they’re often the only thing preventing what are largely repetitive puzzle sequences from lapsing into tedium. Pathways might suddenly disappear from sight, requiring you to use special archways to see things clearly, or a malicious voice may purposefully lead you down the wrong path. As a result, you’re left in waters similarly uncertain to those of the game’s heroine; an effect entirely befitting of a game that seeks to explore intense psychological stress. Areas employ a fairly linear path, rendering puzzle solutions more a case of simple observation, than interacting with the world. For example, you’ll often be faced with locked gates inscribed with different runes, which you’ll need to locate within each self-contained area by aligning structures or shadows. While never truly baffling, puzzles satisfy only in that they lead the conflicted Senua closer toward vengeance, and they make effective use of her hallucinations to ensure their worth as narrative tools. When writing this review, I thought a lot about the best word to fully describe the effect combat has in Hellblade, and I think ‘involving’ is probably the most appropriate. In terms of design, it’s relatively bareboned: where DmC’s combat system layered reasonable weapon variety with an assortment of exaggerated combos, Senua is limited to her sword, with two types of melee attack that can be combined to give occasional advantages during battle. There is a combo system there, though it’s noticeably geared toward survival (rather than obliterating enemies in all manner of campy savageries), in that it’s essentially a Celtic version of Hysteria Mode in Alice: Madness Returns. Hellblade dispenses with the layered combat options and upgrade systems often privy to the hack-and-slash genre; something that does well to emphasize Senua as a stoic warrior of old. As a result, the world of Helheim feels far more unforgiving than the sprawling landscapes of Enslaved and DmC; a world in which you’ve no other option left than to keep lashing out, again and again. This could very well have become mundane within the game’s opening moments, but the fact it doesn’t really says something about the sense of spectacle permeating Senua’s very tangible nightmares. Indeed, I’m rather grateful Hellblade’s mechanics are as few as they are, for not only would concern with rankings and combos seem out of place in a tale of personal torment - it’d also draw away the capacity both environment and enemies possess for genuinely intimidating the player. One of the deliberations I had with Hellblade prior to its release was how a close, over-the-shoulder camera (rather than the distanced, full-body view Ninja fans might be accustomed to) might influence combat, and having now played through the game I can say it really hammers home the sense of entrapment Senua’s condition embodies. If you want to talk about the ‘monumental’ in Ninja games, it’s through the intimacy of its fight sequences - not its harrowing set-pieces - that one really feels the weight of Senua’s grief. While there are only a handful of enemy-types (all a disturbing conflation between Viking invaders and Norse imagery), they’re embiggened by the camera’s attachment to the protagonist; made more threatening by the tight arenas fights are often constricted to. One-on-one fights are generally most effective in emphasizing Senua’s conflict with her inner demons, as the automatic lock-on system can cause the player to become a little too fenced in during group encounters. As time goes on, you’ll be pitted against several Vikings at once; something that - despite the occasional dip into over-claustrophobia - leads every strike to feel absolutely lethal. There are added attempts to conceal the general ease of fights further. Early on, it transpires that Senua is being consumed by a cantankerous ‘dark rot’, which’ll climb gradually up her arm each time you die. Die too often, and all progress will be lost. You’re told this after the tutorial, but though it’s effective in making the road ahead feel intimidating, what could’ve been a constant anxiety over the prospect of ‘permadeath’ soon fell into the background once I’d started rallying with the game’s Vikings. It’s always difficult to go into depth when discussing games whose mechanics feed so heavily into narrative as Hellblade. Ideally, I’d explain exactly why the concept of losing all progress was less of an issue than it seemed, but giving any more information would spoil a game that must be played as blindly as possible. Suffice it to say, however, that I rarely felt the need to tip-toe through encounters, and the rot was generous enough to permit a more than liberal approach to offense. I suppose that’s a less-rickety way of asking you to trust me. Mental health is still a tentative topic within the interactive medium. When the prospect of getting things wrong isn’t on the cards (also a rare occurrence), there’s the issue of actually creating an empathic relationship between player and character in a way that feels unquestionably natural. Undeniably, Hellblade will never be able to create an all-encompassing view of what it’s like to experience psychosis, but channeling Ninja’s compilation of psychological research and technological finesse, Hellblade had me feeling more connected with its protagonist in its six-hour campaign, than most lengthier games nowadays do. The path unto Helheim is a gorgeously dark conflation of memory and fear; unsettling not only because Senua’s hallucinations constantly disturb whatever shreds of reality remain, but because it does it with almost inescapable beauty. The liberal combat options seen previously from Ninja is dropped in favour of two combinable melee-attacks, lending a sense of stoicism to Hellblade’s Celtic heroine. Puzzles can be bland, with their only real saviour being Senua’s hallucinatory critics. What unfolds is an intense, six-hour game charting the strains of psychological trauma, with bold themes and streamlined mechanics so exhaustively interwoven that its rigor is undeniable as an interactive story. The likeness of Melina Juergens is transcribed with eerie convincingness into Unreal Engine, with environments reaching a graphical intensity made doubly impressive by the near-absence of load screens. All the while, the constant chatter of Senua’s voices demonstrate make a solid case for why binaural audio recording should be used more in games. Hellblade: Senua's Sacrifice is every bit as vicious, epic and dramatic as its predecessors in the Ninja Theory library, but interweaving a delicate storyline through simple, yet ruthless mechanics makes it one of the most visceral portrayals of psychological turmoil in recent video gaming. "A hacking, slashing scream into the dark heart of psychosis"
Hellblade: Senua's Sacrifice is ranked #192 out of 1435 total reviewed games. It is ranked #3 out of 174 games reviewed in 2017.